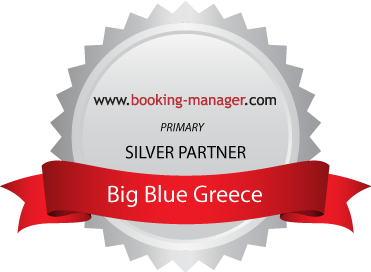 Welcome to Big Blue Greece! We offer exclusive tailor-made sailing holidays on board a world-class Hallberg-Rassy 49 sailing yacht around Greece and the Central Mediterranean. Big Blue Greece is a customer-oriented company with bases in the Cyclades and the Ionian islands, offering unique tailor-made sailing holidays on board a classic Hallberg-Rassy 49, refit in 2017, with a local skipper and (upon request) a professional crew/hostess/cook. Take advantage of our local knowledge and experience acquired over the years in order to visit the most beautiful anchorages, remote beaches, picturesque towns, original tavernas and fun destinations around the Aegean, the Ionian and the Central Mediterranean. We are unique in offering custom long-distance sailing voyages, which are tailor-made to meet the needs and fulfil the dreams of our passionate and adventurous clients. Select an item below to find out more about some of our most popular destinations!